Serratus laming. Paralysis musc. serrat. ant. (paralys. nerv. thorac. longi.). 29 year old cook. The malady originated immediately following the portage of a heavy luggage basket. Plate 36 shows the patient with pendant (somewhat propped) arm. The shoulderblade thrusts out from the thorax, more forcefully in its lower half than its upper. The lower angle is proximal to the spine, so that the sweeping edge of the shoulderblade runs obliquely from above and out to below and in. 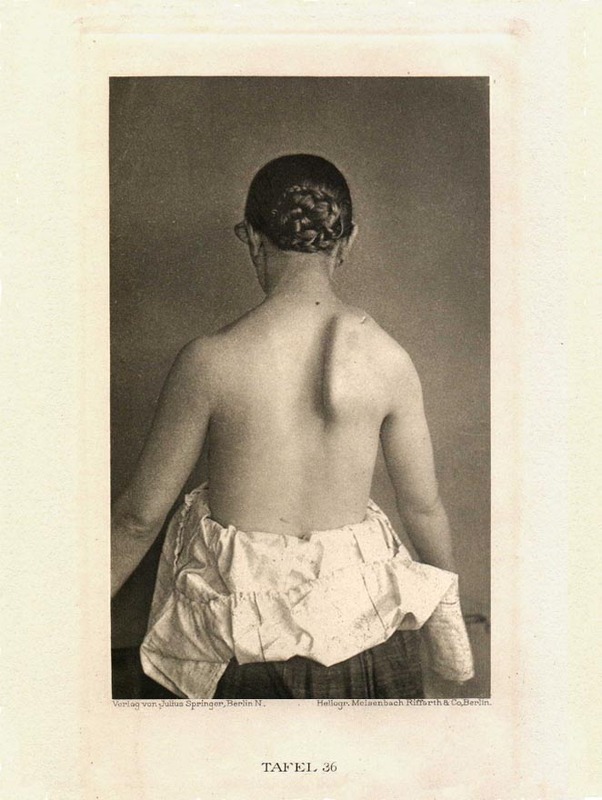 With the upper arm raised horizontally forward, Plate 37 shows the even more striking prominent thrust of the shoulder blade which is now even more proximal to the spinal column.